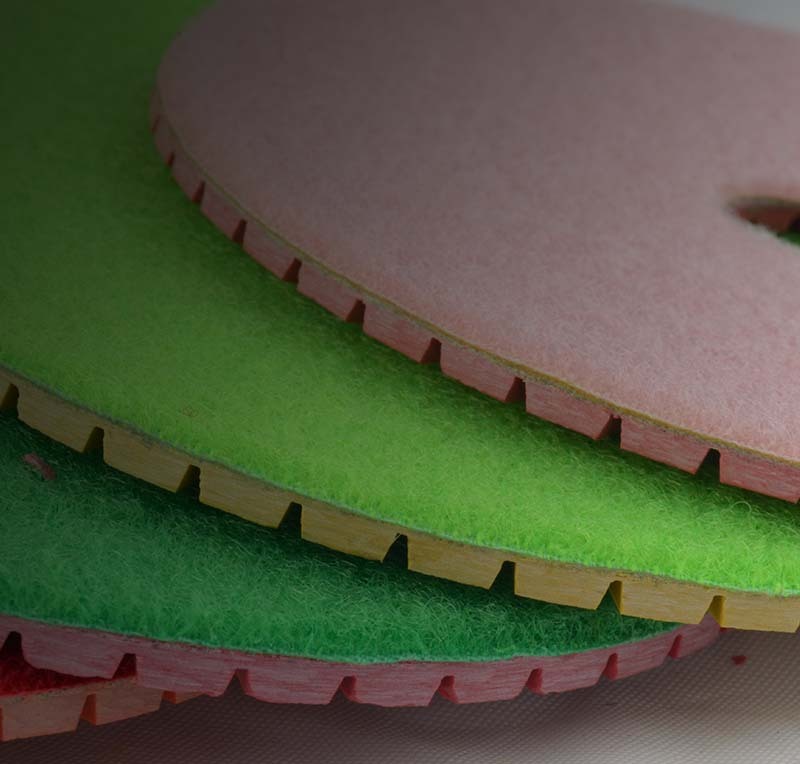 Founded in 2006, Universal Polishing Systems provides state of the art polishing solutions. As a young man, I engineered innovative tooling systems for a large equipment manufacturer. 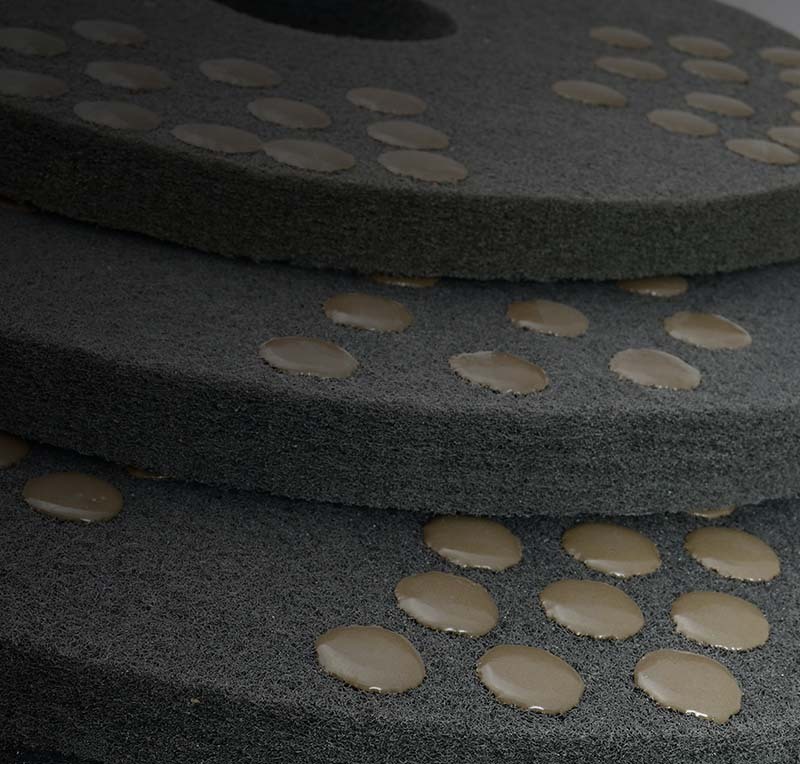 I leveraged knowledge gained during this period to create a bold new resin-metal hybrid diamond polishing pad that works seamlessly with both machine and surface. Now I work tirelessly to share this capability with the world as polishing is redefined. 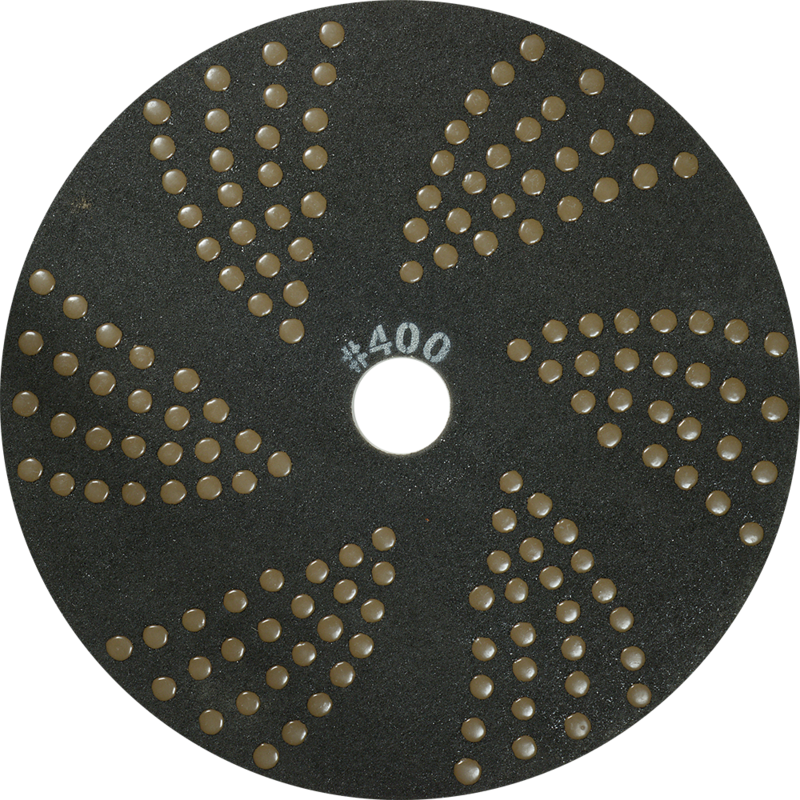 The 07 Series diamond tooling is a matrix of high quality abrasive diamonds bonded with a proprietary mix of various metals and resins designed for long life, exceptional durability, high flexibility and incomparable scratch removal. The Flexible HYBRIDS are designed for wet or dry applications and the face design provides excellent channeling for dust or slurry. The consistency of performance is outstanding. 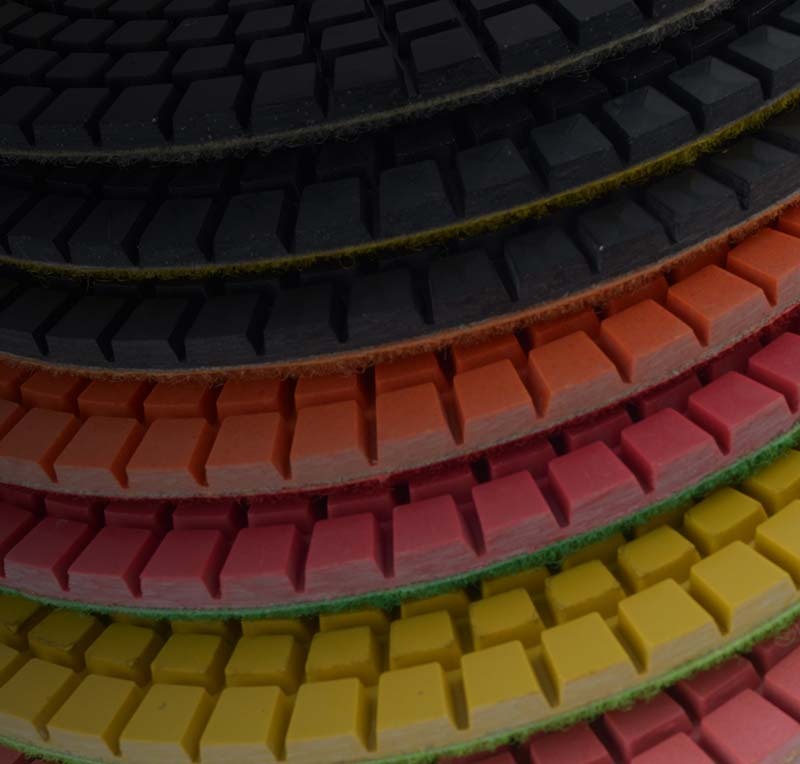 The manufacturing process ensures even distribution of abrasives through the resin adding to the longevity and performance of the tooling. The 07 Series of transitional tooling is Guaranteed To Outperform any transitional diamond tooling on the market. 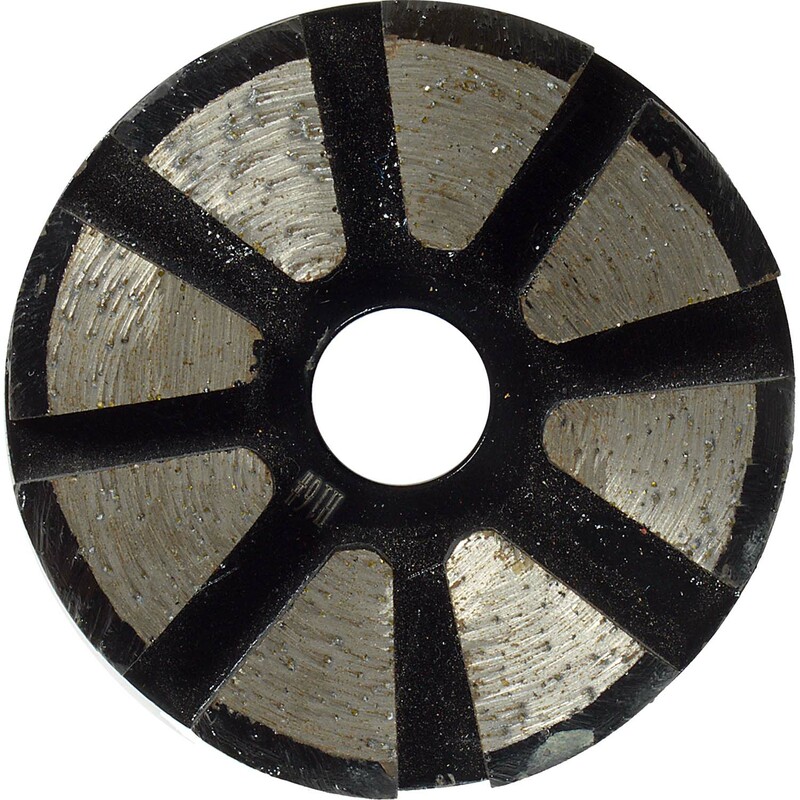 The 37 Series Metal Double Segment diamond tooling is a proprietary matrix of top quality abrasive diamonds embedded evenly throughout both segments. 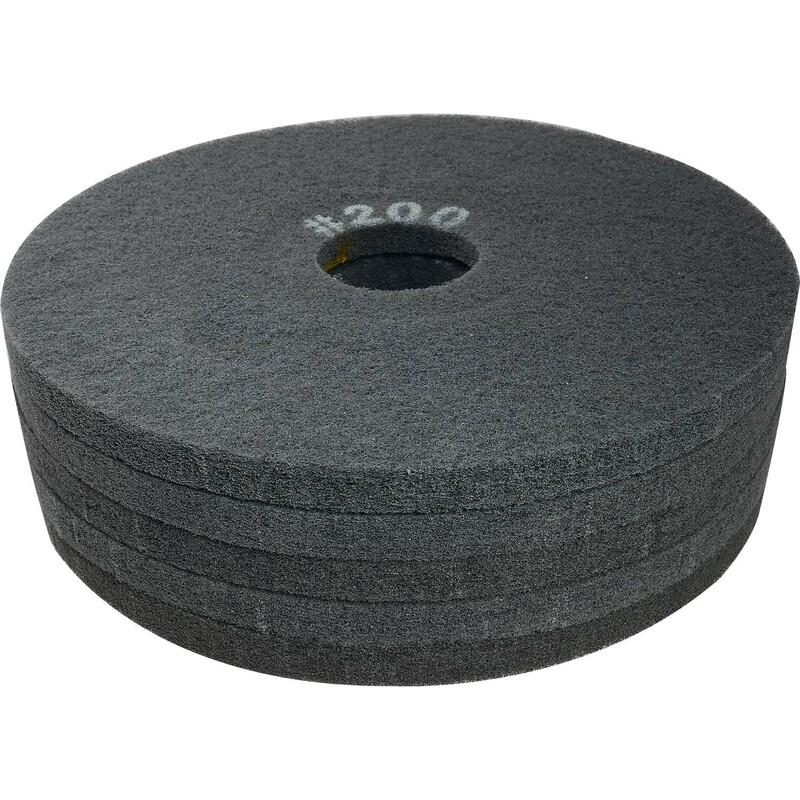 The rectangular segments are designed for aggressive scratching and exceptional durability with strong grinding capabilities. 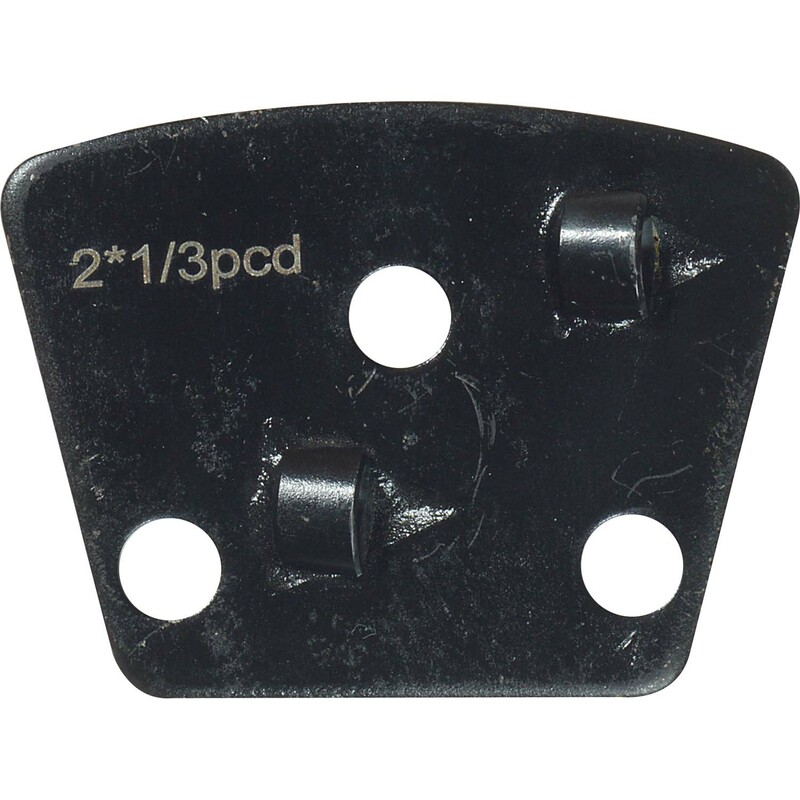 The metal segments are designed for wet or dry applications. 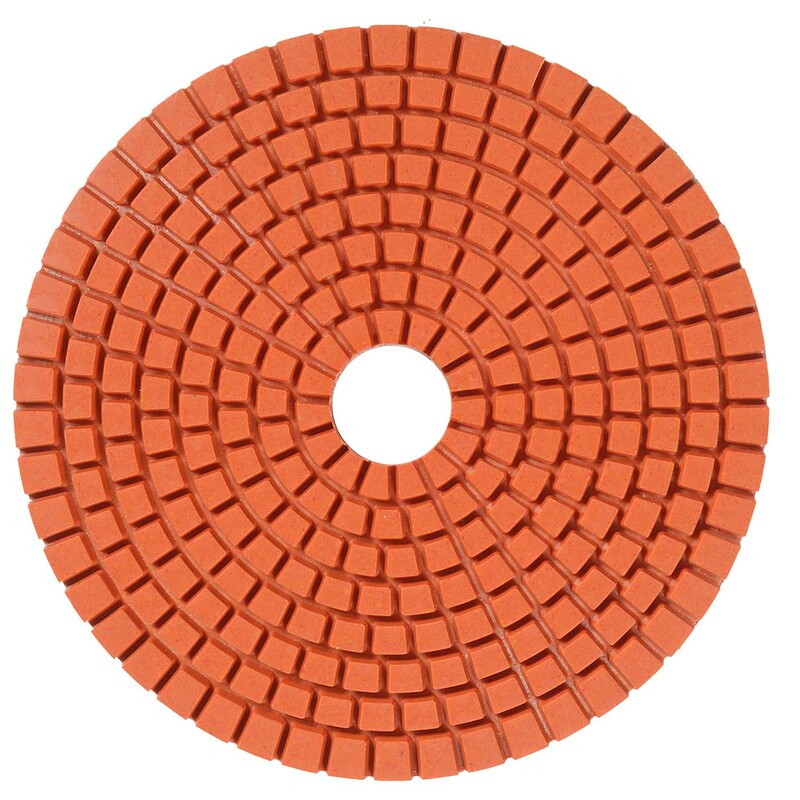 The tool is designed specifically for use in the earlier stage of the polishing process and is an ideal tool for using in the preparation of concrete for overlays and coatings. The consistency of performance is outstanding. 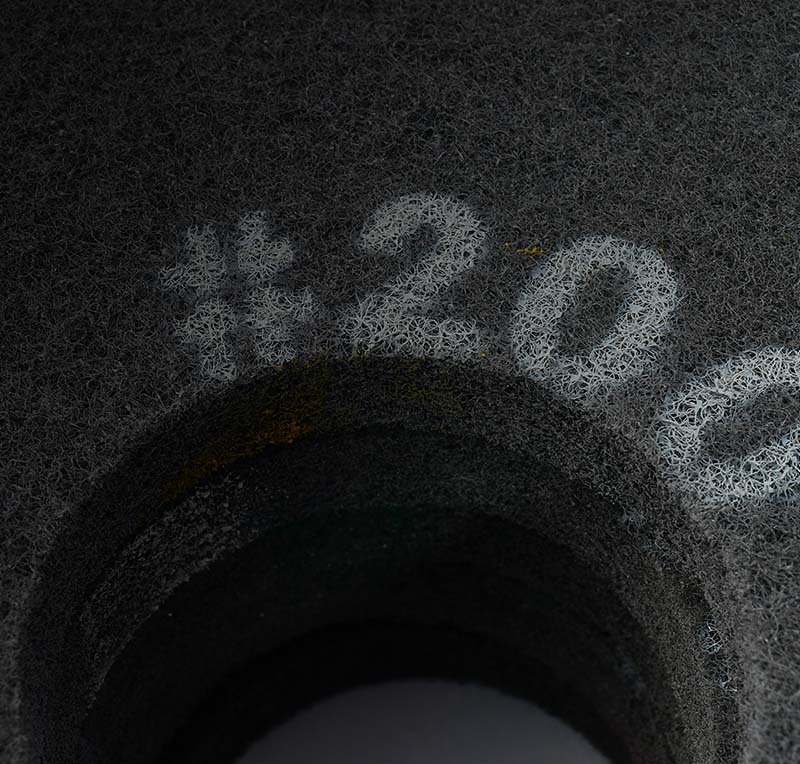 The manufacturing process ensures even distribution of abrasives throughout the tool adding to the longevity and performance of the tooling. Available in 16, 30 and 50 grit in hard and soft bond. The 37 Series of diamond tooling is a proprietary matrix of top quality abrasive diamonds embedded evenly throughout each segment. 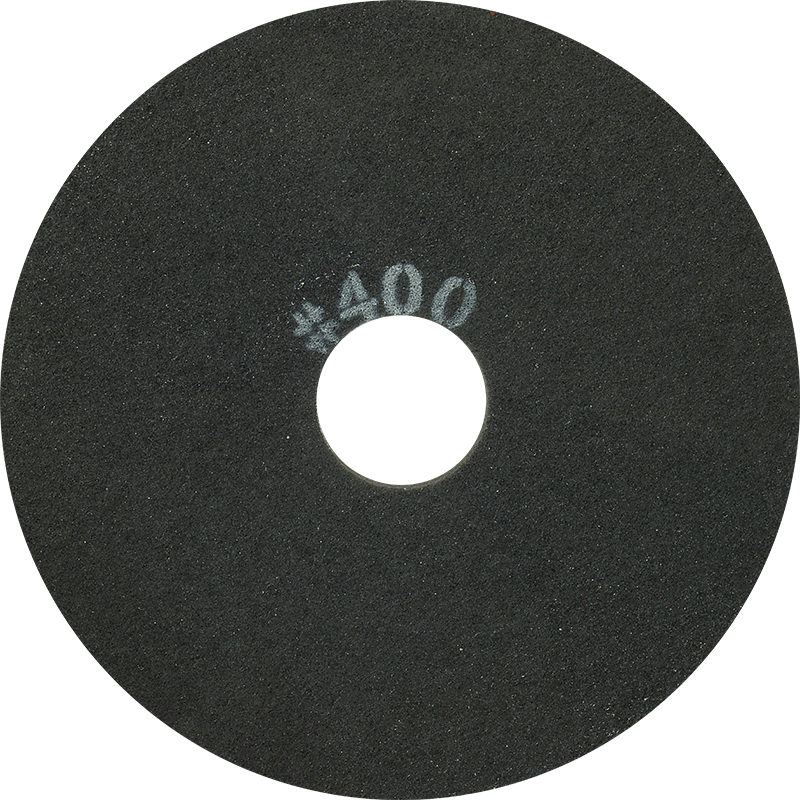 Rounded front edge is designed for minimal scratching, longer life and exceptional durability with strong grinding capabilities. The metal segments are designed for wet or dry applications while the 8 segment face design provides the best channeling for dust or slurry. 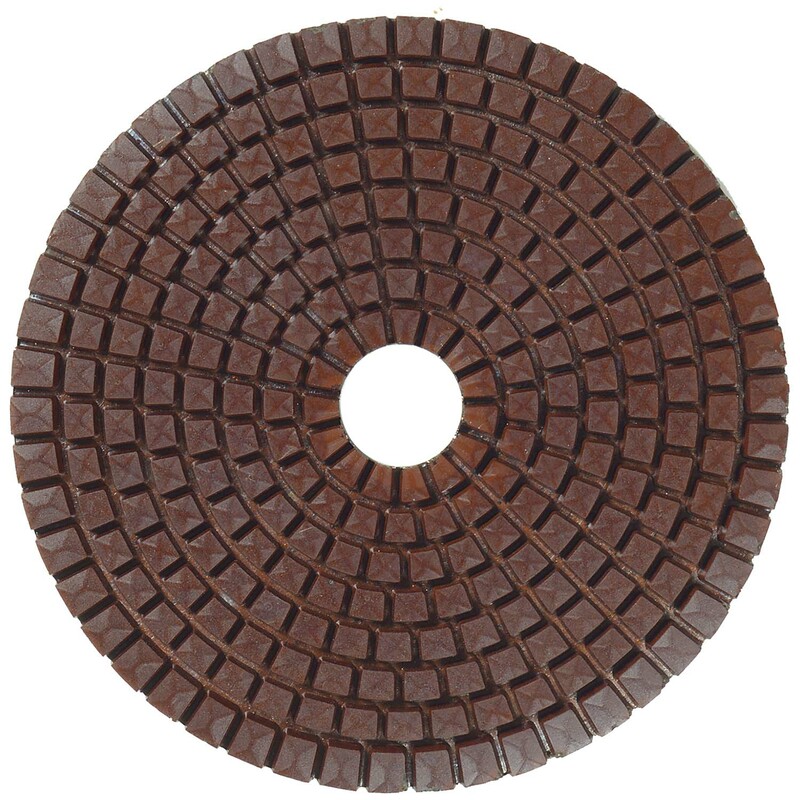 The tool is designed specifically for use in the earlier stage of the polishing process. The consistency of performance is outstanding. 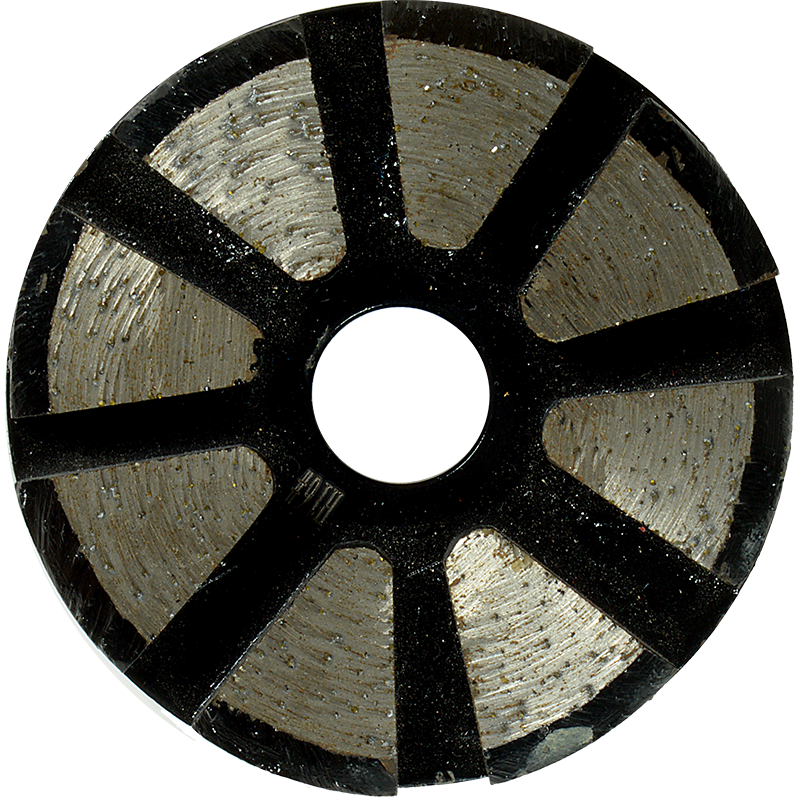 The manufacturing process ensures even distribution of abrasives throughout the tool adding to the longevity and performance of the tooling. The 37 Series PCD Tooling is offered in two designs. 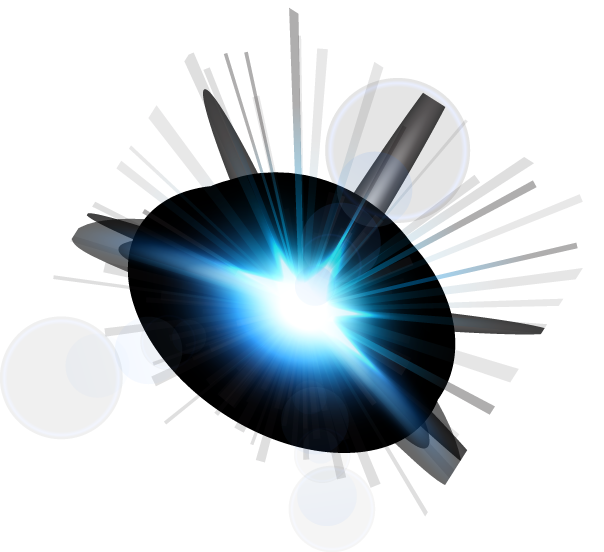 The 37-LGPCD has 2 offset 7/16” (wide) PCD diamonds. 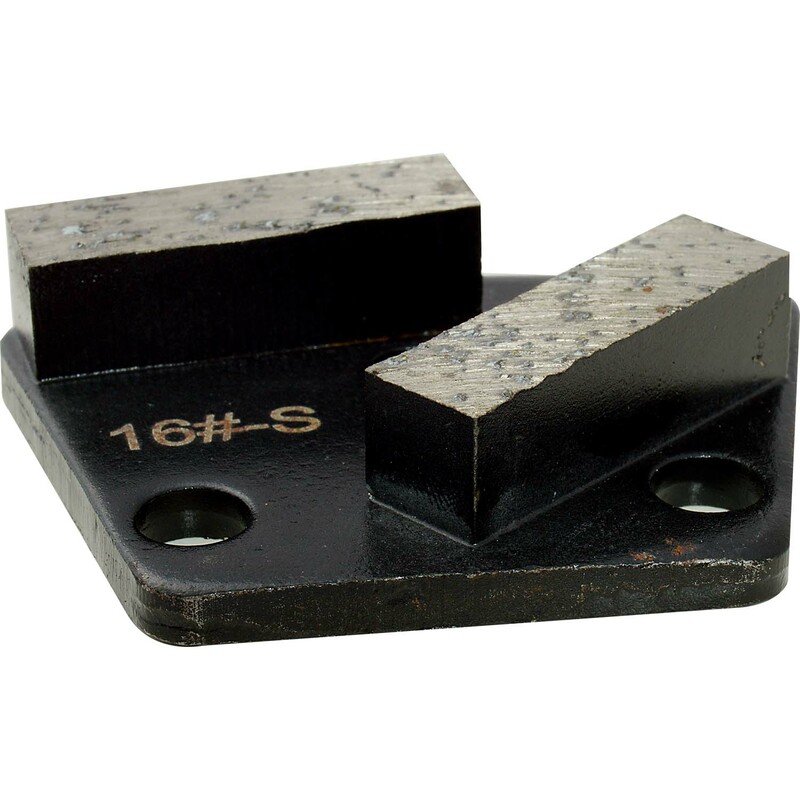 The 37-LGPCDBar incorporates 2 offset 3/8” (wide) PDC diamonds with an angled 30 grit metal segment (bar). 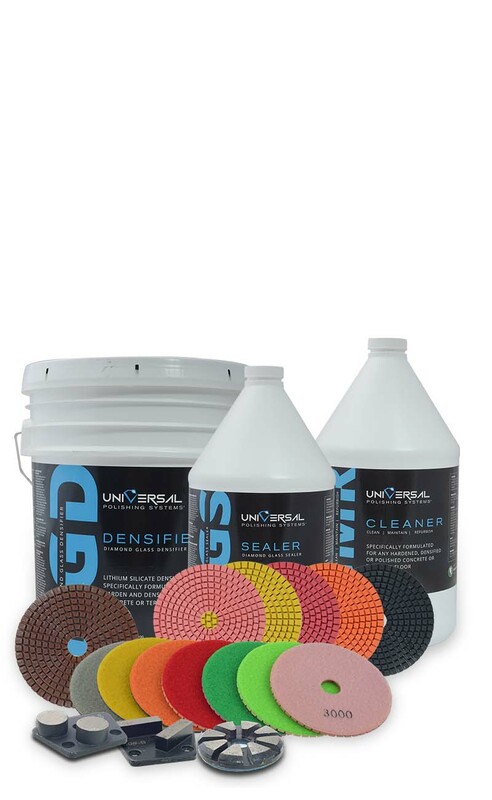 Both are ideal in thick coatings removal including acrylics, urethanes, epoxies, mastics, thin set and most cementitious overlay and adhesive materials. The polycrystalline diamonds (PCD’s) are very heat and fracture resistant. 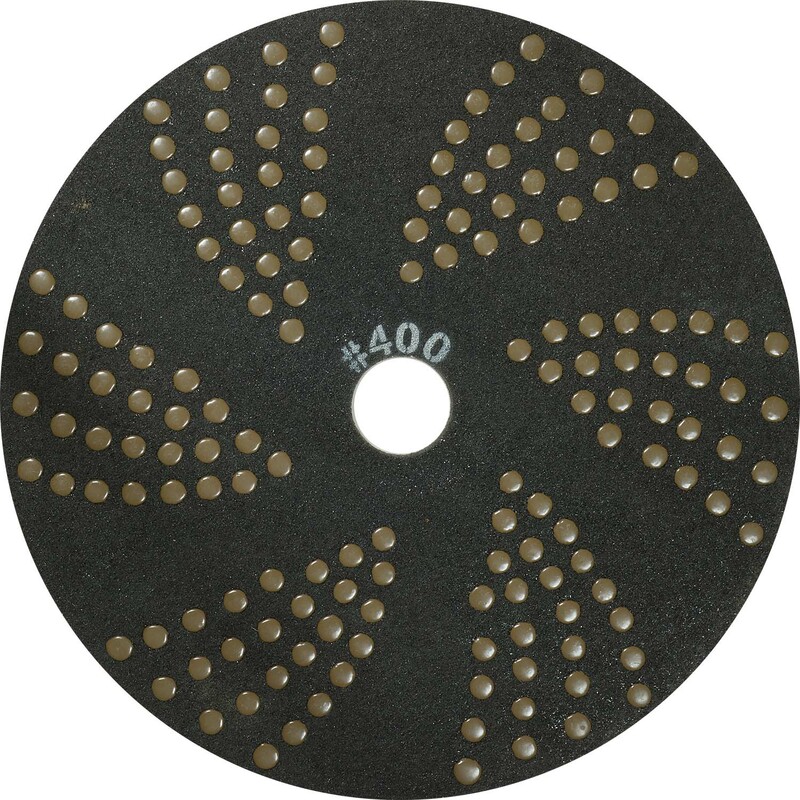 The diamond encrusted Series 40 burnishing, polishing and maintenance pads are designed for durability and longevity for a wide variety of applications. The flooring tools are diamond coated throughout the entire pad creating a stronger, wear and tear resistant pad at an economical price. 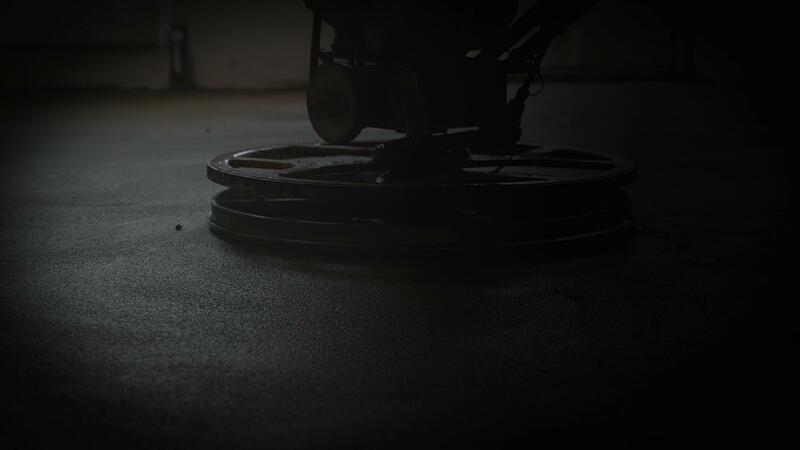 The diamond powders provide extended life due to the ability to use either side creating a stronger, more durable tool for most flooring situations. The V.E.S.P.A. Polishing System has been designed for demand in the concrete polishing market. 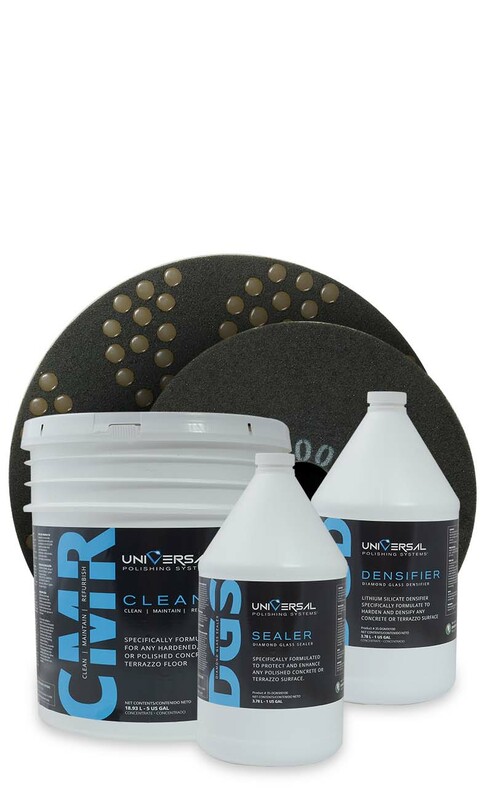 A Value Engineered Simplified Polishing Apparatus is an economical alternative to traditional concrete polishing when smaller budgets need to be met but a densified/hardened/refined surface is needed for the end result. 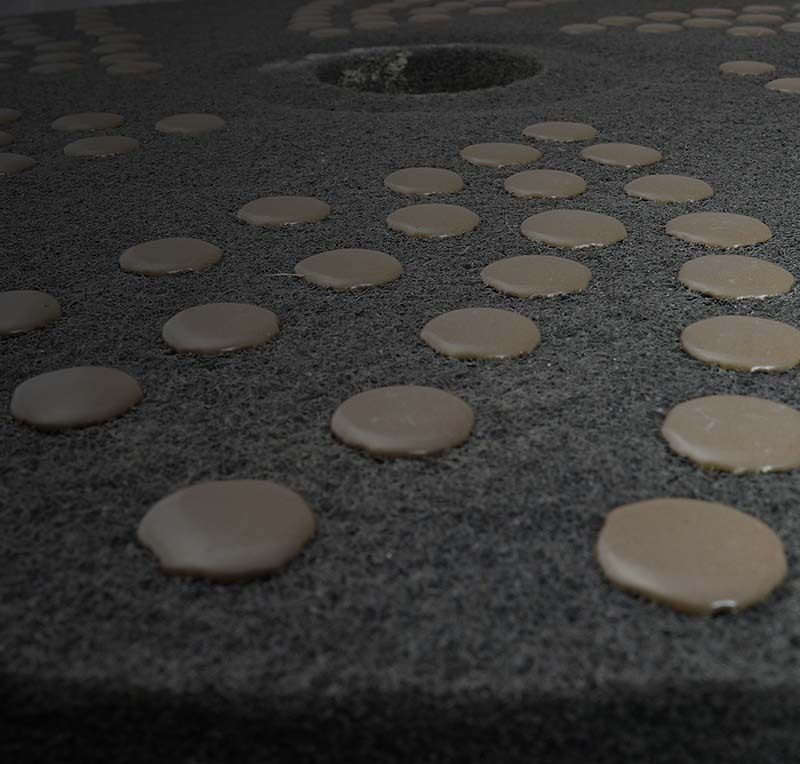 Universal Polishing Systems has infused our proprietary 07 Series GTO Hybrid semi-metal bond matrix into our diamond encrusted Hurricane pad. 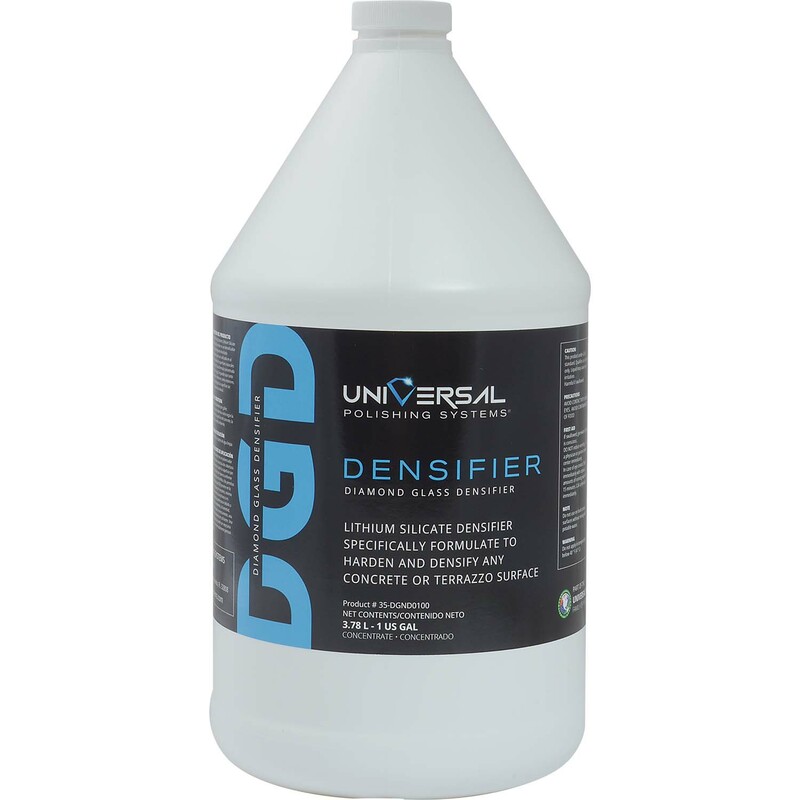 Universal Polishing Systems 35 Series Diamond Glass Densifier Diamond Glass Densifier is an eco-friendly, impregnating lithium densifier specifically designed to be used in the polishing of natural and cementitious surfaces. It is a concentrated formula and dilutes with water. It can be used in both interior and exterior applications. The 35 Series Diamond Glass Densifier penetrates and protects the surface without affecting its natural appearance. 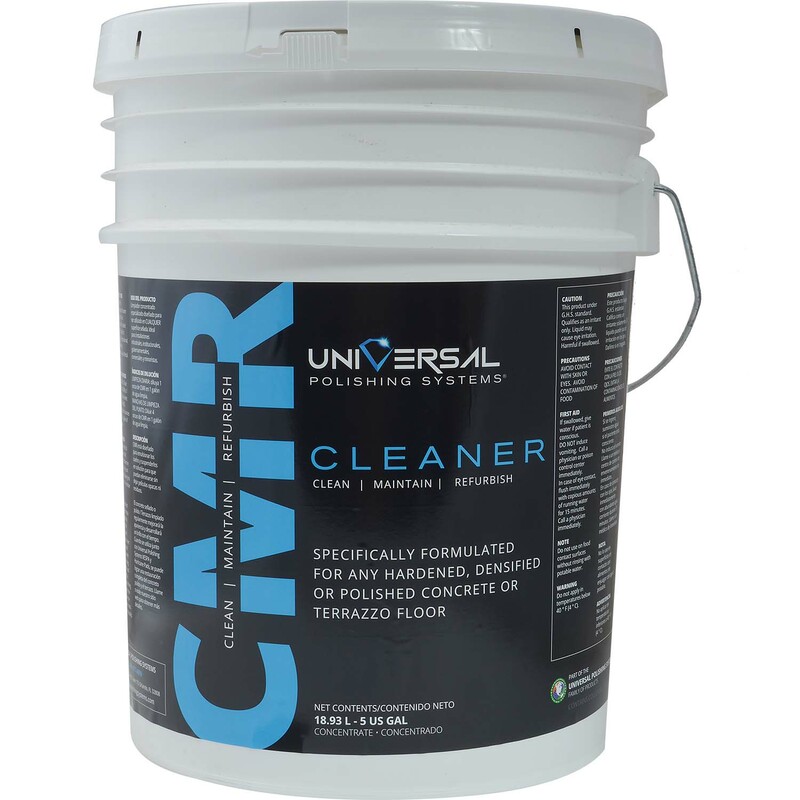 The 35 Series CMR (Cleaner Maintainer Refurbisher) is specifically formulated to clean, maintain and refurbish new and existing polished concrete, terrazzo and other natural stone surfaces. 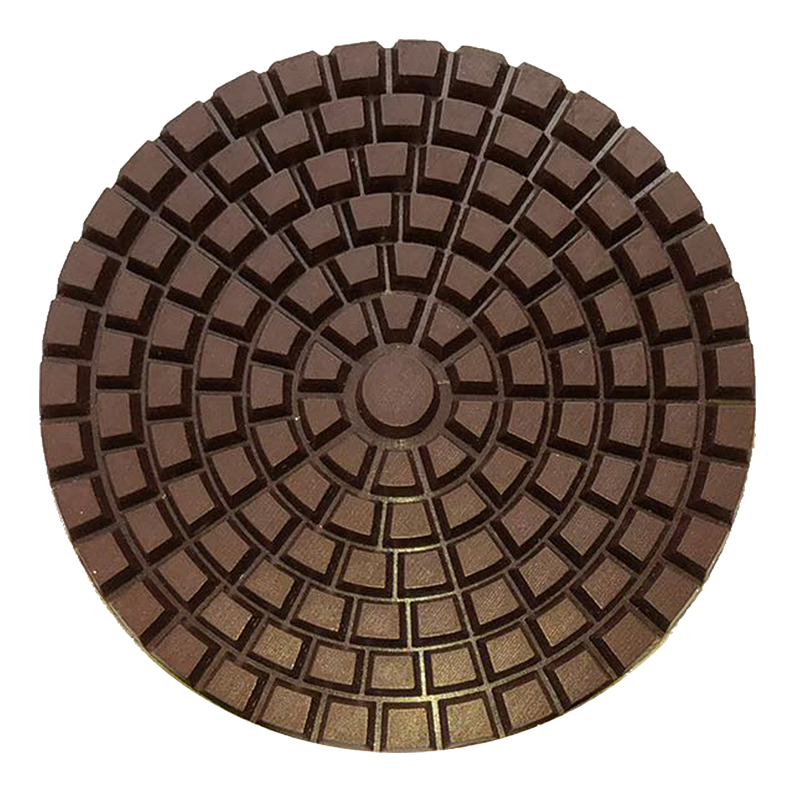 It is ideal for industrial, manufacturing, institutional, government, commercial, retail and residential floors alike. 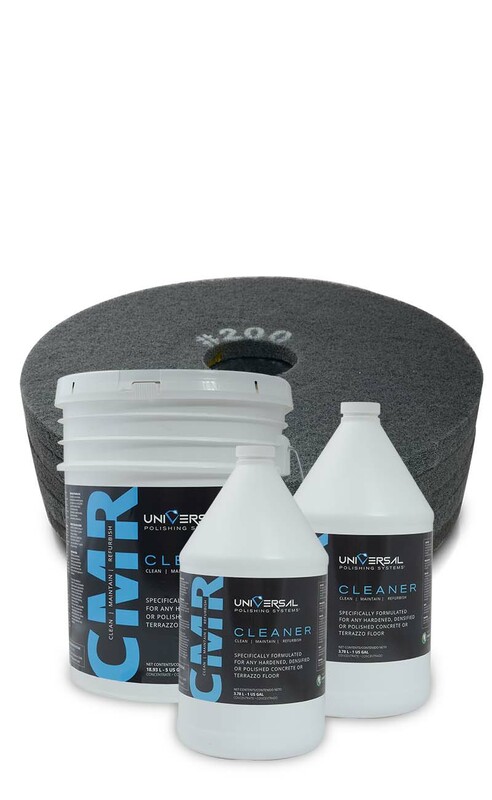 CMR is specifically designed to quickly emulsify, attach to, and suspend soils, oils and greases by using “light and hold” technology caused by different surfactants leaving no residue behind, making daily cleaning a breeze. 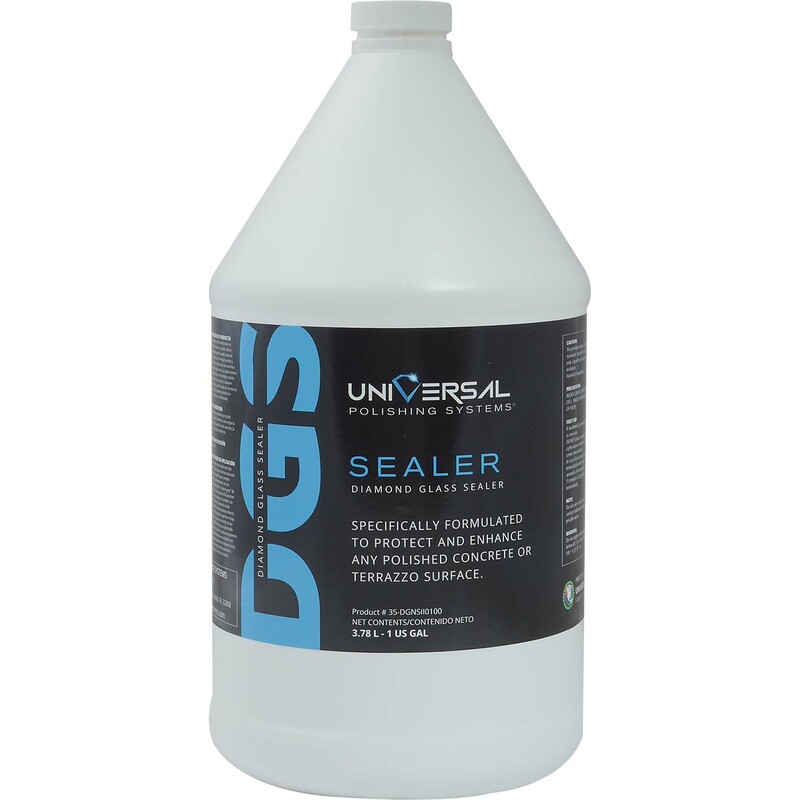 Universal Polishing Systems 35 Series Diamond Glass Sealer Diamond Glass Sealer is an eco-friendly, impregnating guard/sealer specifically designed to be used in the polishing/sealing of natural and cementitious surfaces. It can be used in both interior and exterior applications. The 35 Series Diamond Glass Sealer penetrates and protects the surface without affecting its natural appearance. 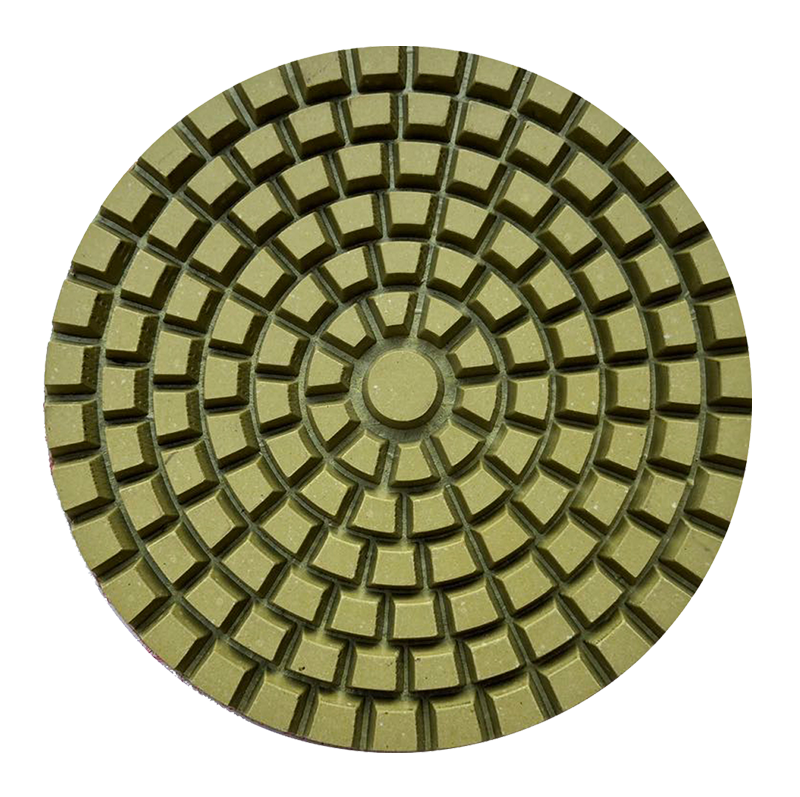 Universal Polishing Systems Is The Recognized Leader In Hybrid Resin / Diamond Polishing Pads. © Universal Polishing Systems | Website Design by Toucan Design, Inc.